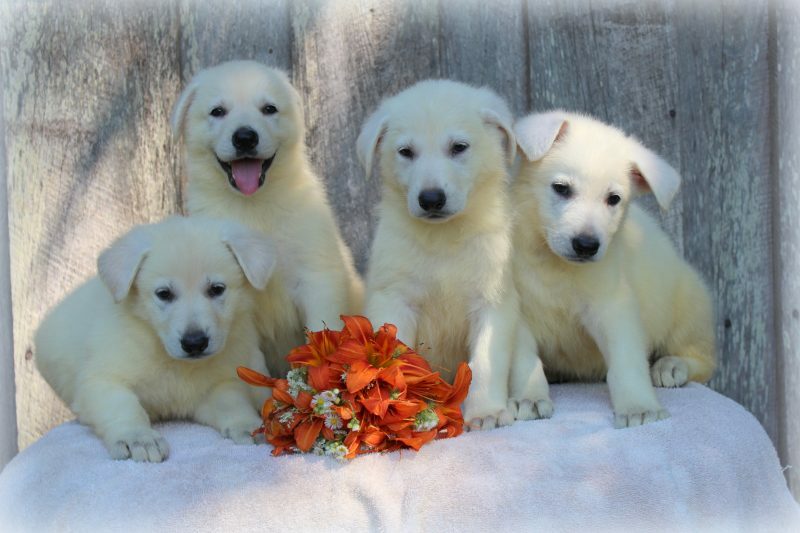 Rolling H Farm has been breeding White German Shepherds for the past 35 years on our family farm in Somerville, TN. We take pride in all of our puppies. Our dogs’ bloodlines trace back to the famous Rin Tin Tin and Roy Rodger’s dog, Bullet. 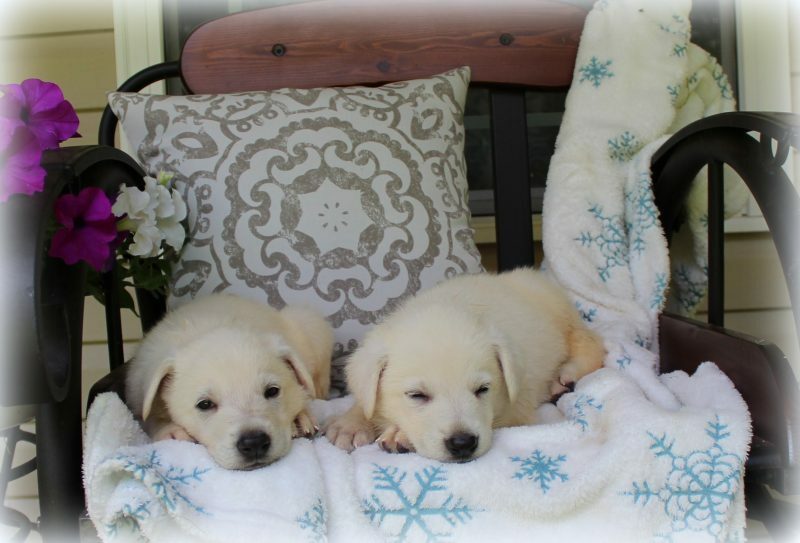 After years of selective line breeding, we have been able to ensure desired qualities in our puppies such as intelligence, strong bone structure, and good confirmation. Over the years, the dogs we’ve sold have not only become family companions, but also service dogs for law enforcement and the disabled. Rolling H Farm’s goal is to provide companions a family will never forget. Rolling H Farm has had 35 years breeding with White German Shepherds. We count it a privilege and honor to retire on our Farm. We have adults -Male and Female for breeding as well as pets. 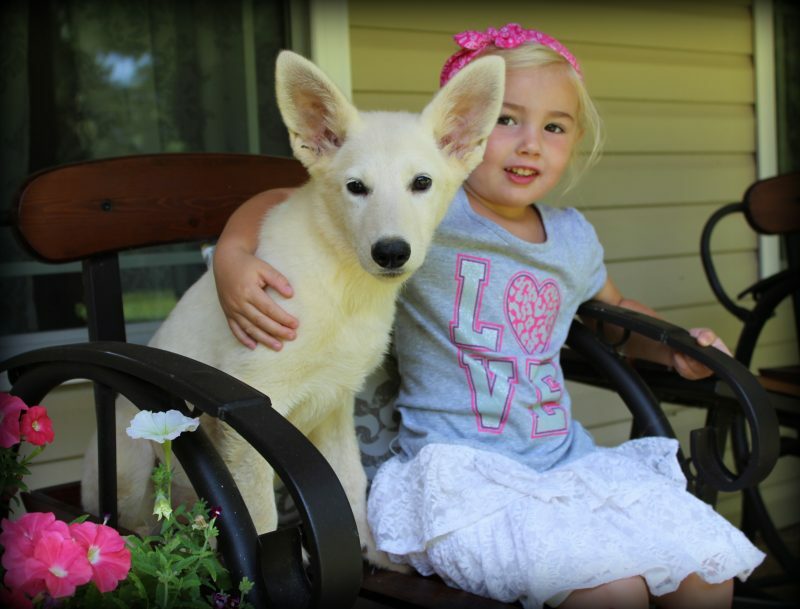 We have White German Shepherd puppies from newborn to 1 year old. All of our adults and puppies are up to date on worming and vaccinations. We ship the puppies we sale world wide. We gladly invite anyone to come to our farm to purchase or just to visit our White German Shepherds. 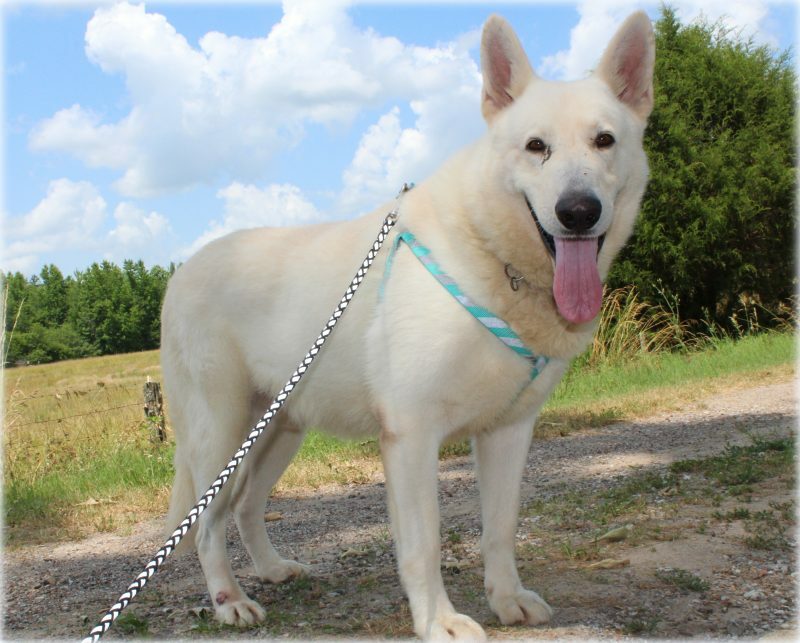 Our White German Shepherds are a direct lineage from the line of Roy Rogers dog; “Bullet” and Rin-Tin- Tin. These dogs were closely related. These White Shepherds have years of careful line breeding to develop a strong body, and brilliant brain. These White German Shepherds are beautiful and very smart. We have many references to this fact on our reference page. 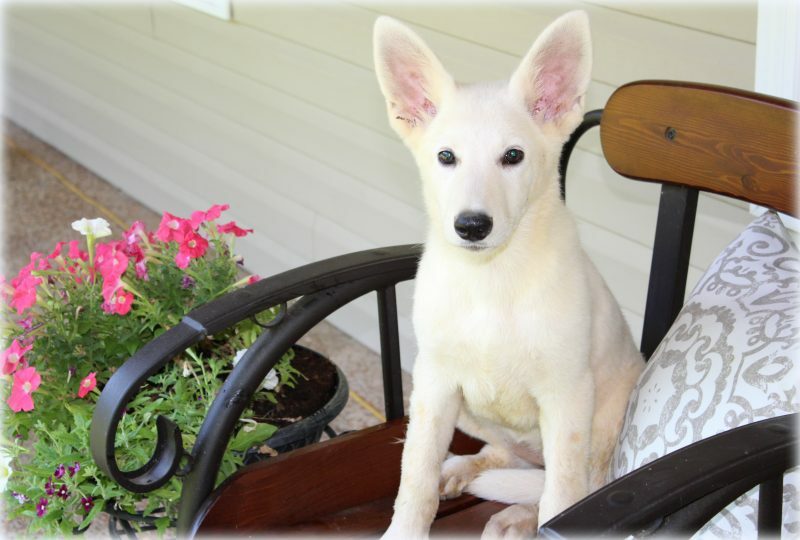 We have several ways to help you purchase your White German Shepherd. You can drive to our farm. If the drive is too far, we can meet you part way or we can send the white German Shepherd to you by Commercial airlines. Guarantee and pedigree is on our website. 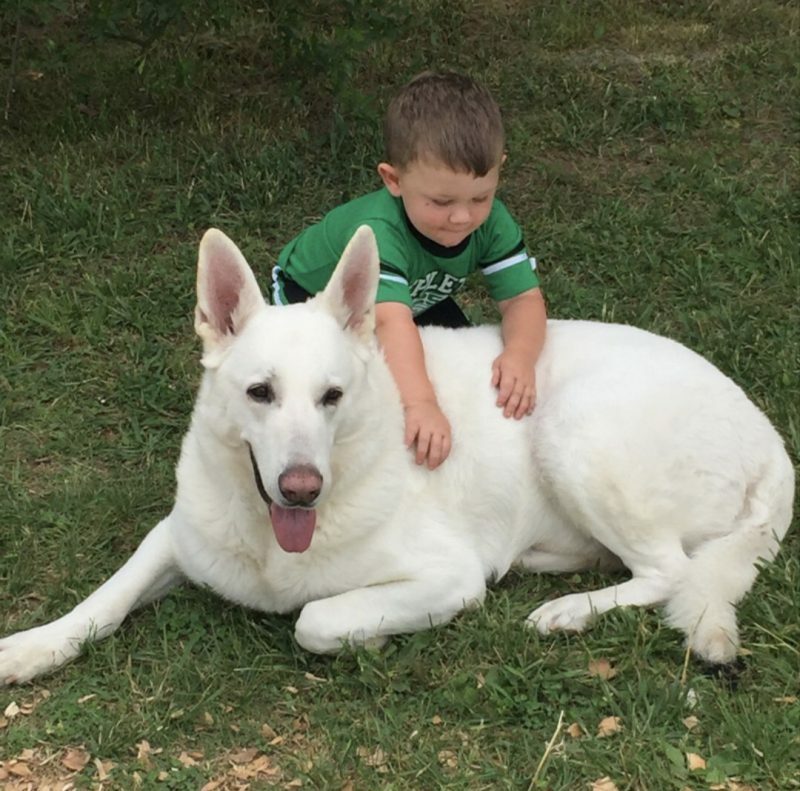 When you purchase our White German Shepherd; our goal is to provide you with the very best. 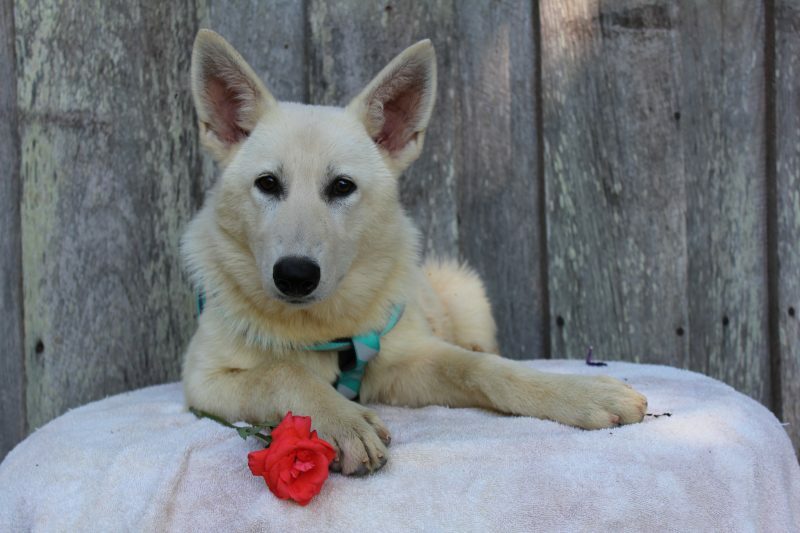 We strive for you to have your own White German Shepherd you have dreamed of.